Often, the most valuable time spent in consultation with families and educators is in the first few conversations about their concerns. Subsequent meetings, of course, can provide additional supports, but sometimes it only takes a modest step to make a big gain. 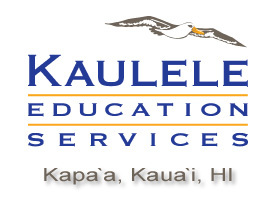 In order to make it easier for more families to take that step and make that gain, Kaulele offers a Case Review option. Up to two and a half hours of consultation: the original telephone intake, document review, meeting/s, and/or follow-up response are included for $125. Case Reviews are not student sessions; they are intended for parents or educators who are seeking guidance with academic concerns. These may include motivation, organization, study skills, school placement, school adjustment, and other concerns. Of course, a brief, initial phone consultation is always free.